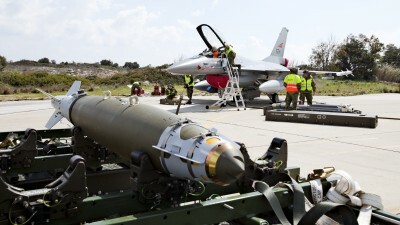 There was unified political support in Norway’s parliament when the government agreed to join bombing raids over Libya in March. 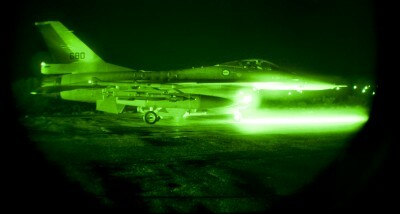 Since then, Norwegian fighter jets have been among the most active in the NATO-led operation but details of their raids have been kept secret and debate has been minimal. Questions are now flying over Norway’s and NATO’s roles, and their effectiveness. The Libyan bombing raids were back at the top of the news on Thursday, with newspaper Aftenposten reporting on its front page how results are sketchy, and Norwegian Broadcasting (NRK) leading morning newscasts with complaints over the lack of detailed information and public debate. One local commentator noted that Norwegian media carried far more stories on the recent football strike than on Norway’s involvement in the UN-initiated intervention in Libya’s civil war. The only hard facts that either the Norwegian government or its defense establishment have released are that Norway’s six fighter jets now have completed 351 attacks and released 322 bombs on targets in Libya. That comprises the largest military attacks Norway has been a part of since World War II but apart from releasing those numbers, Aftenposten claimed that Norwegian officials are consciously keeping Norwegians in the dark about what Norwegian forces, reported to be among the most active of NATO’s members, are doing in Libya, revealing no details about targets or victims. Kept secret are how many Libyan soldiers and civilians have been killed, which locations and military targets have been bombed or how many Norwegian fighter jets are actually in the air day and night. The Norwegian military, according to Aftenposten, won’t even disclose how much ammunition Norway has used, claiming such information could be misused by Libyan strongman Moammar Gadhafi’s intelligence agents. Information is tightly controlled, Defense Minister Grete Faremo of the Labour Party has claimed, out of concerns for the security of Norwegian soldiers and officers involved and Norway itself. Meanwhile, no one can say how long the NATO-led military intervention will go on and criticism of it has been rising both in and outside Norway. Its effectiveness is being harshly questioned, with various claims that it has not damaged Gadhafi’s military to the degree expected nor is it seriously threatening his regime. Aftenposten reported, based on its own analysis of short, daily updates from NATO itself, that NATO’s total of 2,360 attacks have only destroyed 98 Libyan tanks, 40 small and large command centers, 134 military vehicles and 286 ammunition storage units. That, claims Aftenposten, is only a small part of Gadhafi’s defense force while military officials defend the effectiveness of their attacks, claiming they have at least kept Gadhafi’s own air force grounded. Now debate is rising, even though both Faremo and Foreign Minister Jonas Gahr Støre have signalled that Norway will reduce its involvement when its initial three-month commitment period expires on June 24. Parties on both the far right and far left of Norway’s political spectrum are raising questions about casualties and the government’s plans in Libya. “The military needs more openness about the war in Libya, not just half-truths,” Jon Arild Ellingsen of the Progress Party (Fremskrittspartiet, Frp), Norway’s most conservative, told Aftenposten. He complained that Faremo is “really holding back” and called the lid on information “horrible.” He claims it’s possible to share much more information without revealing military secrets or threatening the security of the F16 pilots. Meanwhile, NATO carried out some of its heaviest bombing to date this week, with attacks on the Libyan capital of Tripoli that killed 19 persons and wounded 150, according to Libyan TV. A NATO spokesman confirmed that the NATO forces in which Norway is a part had been “quite active in recent days,” and would continue to be so.